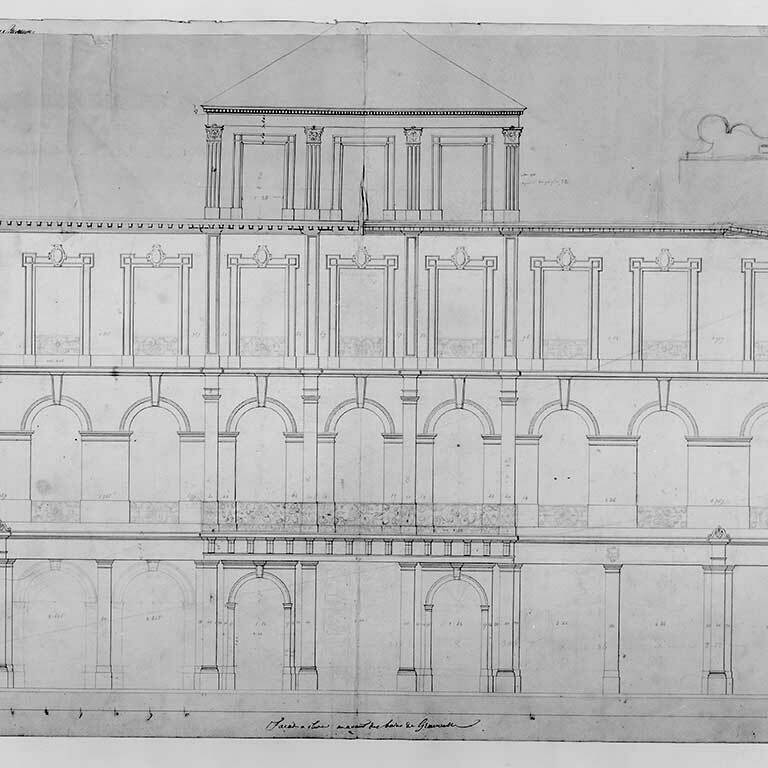 Architect Pierre Marnotte designed this building in the “Venetian” style in 1841. The entire ground floor was occupied by shops, while at the rear of the plot, there was a bathhouse. It was destroyed in 1975. 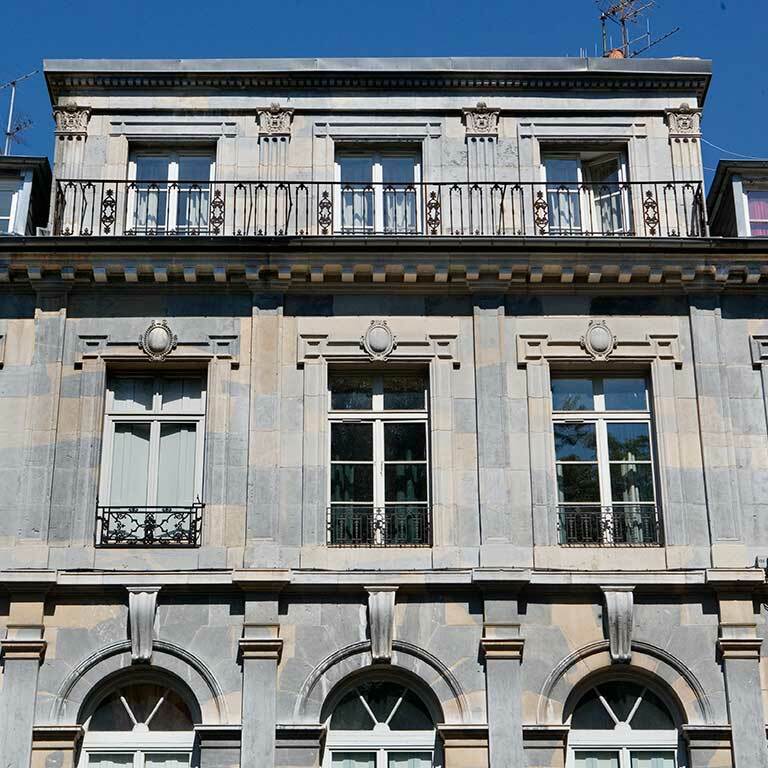 The long facade with 11 casement windows that you have before you is accentuated on either side of the entrance by pilasters many of which are topped by the decoration using 2 scrolls meeting each other, which Marnotte already used at 27, rue Mégevand. The windows on the first floor have semicircular arches and have oversized keystones. Those on the second floor are decorated with large medallions set in the middle of the lintels. Although the casement windows are the same size on each floor, the triplets in the central portion are accentuated by the superposed pillars. The large attic dormer, set back, and directly above the central triplets, has a carefully-wrought decor. 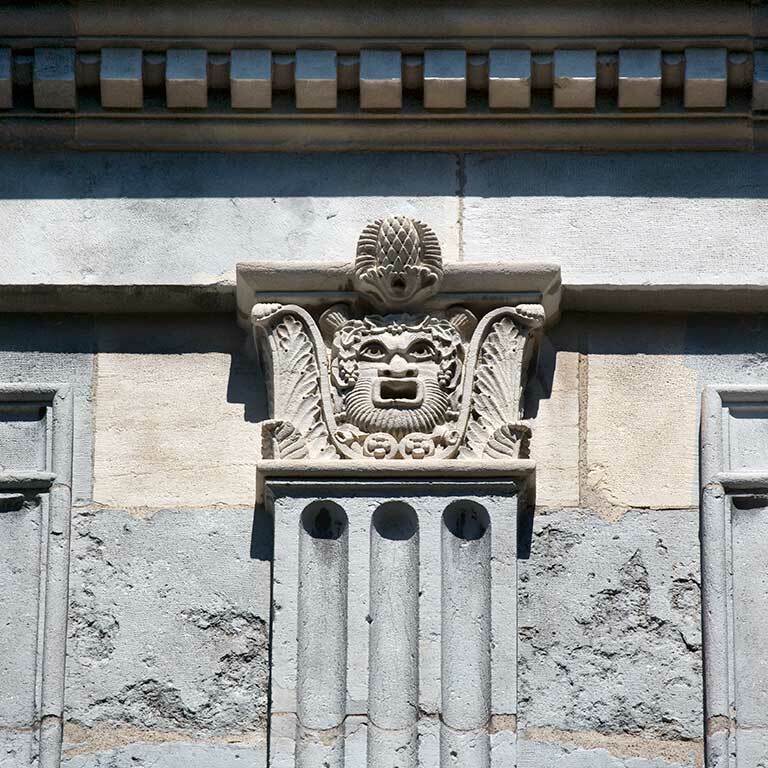 The four ribbed pilasters with composed capitals are decorated with theatre masks, most likely a nod at the nearby theatre built by Nicolas Ledoux. The “Venetian” style was very typical of Marnotte during the years 1830-1840. 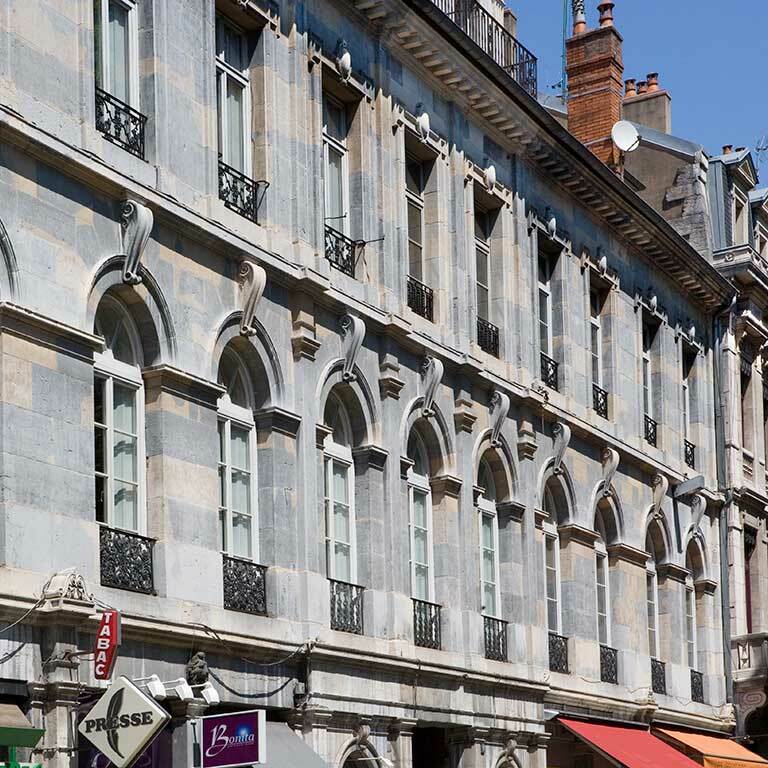 It was new and different for Besançon, and not much used. It was, however, all the rage under Louis-Philippe in Paris and in other French cities.